I have a couple more cards to share with you today, and the first uses this super fun new die set called Spin Cycle along with the new Spin Cycle Sentiments Stamp Set. I started by cutting my washer and dryer out of Sugar Cube, Poppy Seed, and Earl Grey cs. 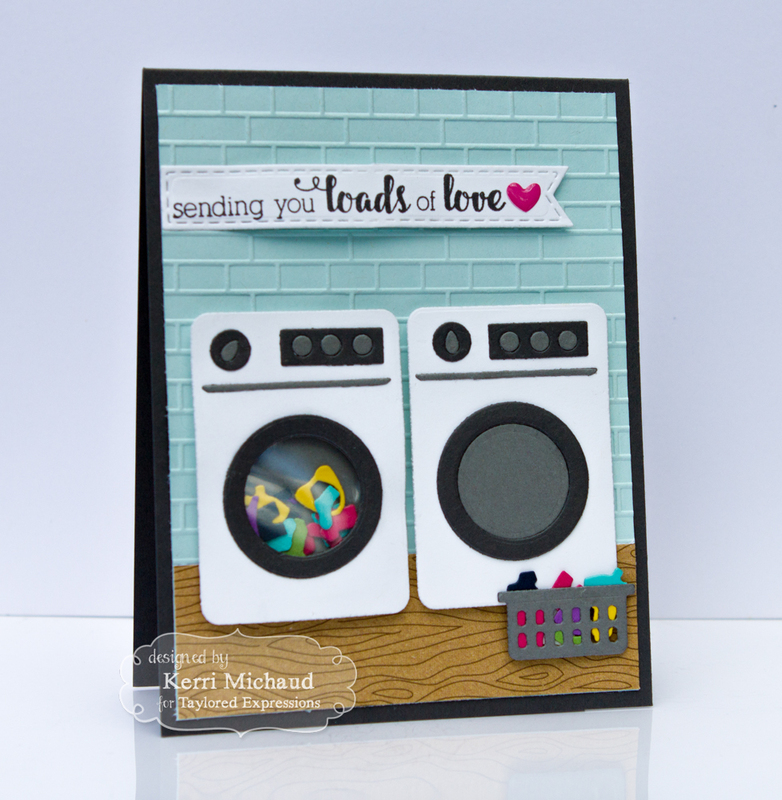 I turned my washing machine into a shaker card and added some clothing using the Little Bits Clothing Confetti Die. The floor was cut out of some TE Build a Scene dp and the wall is a piece of Sprinkles cs embossed with the new Subway Tiles Embossing Folder. I added the laundry basket that I cut with the Little Bits Laundry Basket Die and filled it with more clothes. 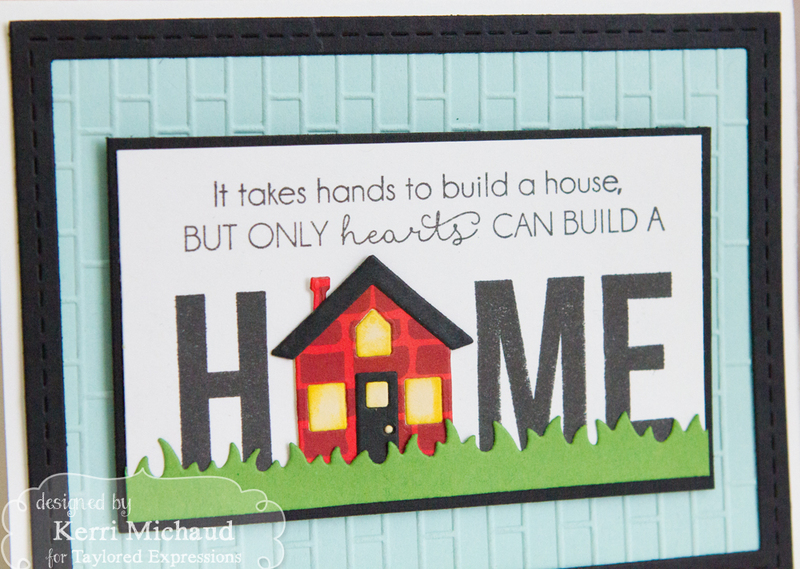 Finally, I stamped a sentiment from Spin Cycle Sentiments and cut it out with a Stitched Banner Stacklets Die. The little heart is a Lollipop Enamel Shape. For my next card I used the There's No Place Like Home Stamp Set along with the new Little Bits House Die. 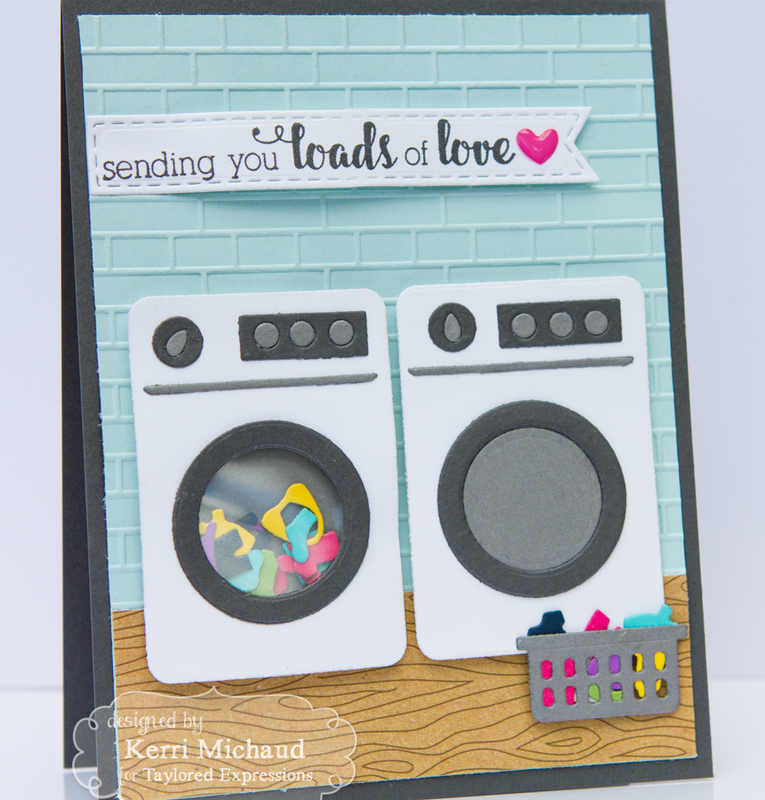 I stamped the sentiments with Oreo Ink onto Sugar Cube cs. I then added the house that I cut out of some TE Build a Scene dp, some Oreo cs, and some Potato Chip cs that I sponged with Lemon Merigue Ink for the "glow" in the windows. The background is more Sprinkles cs that I embossed with the Subway Tiles Embossing Folder-just LOVE this new folder:) Finally, I added some grass cut with the Grass Border Die out of Peapod cs and a frame cut out of Oreo cs using a Stitched Frame Stacklets 1 Die. 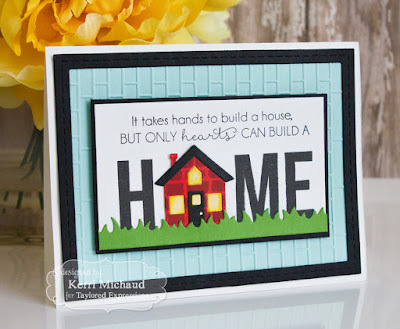 Such a super cute concept!